We need to be responsible in our actions and sayings for our children’s sake if not ours and take steps to win this war against polio. Three-year-old Ahmad asked his mother, Razia why his foot looked different from his 5-year-old brother Sadiq. Ahmad, my maid’s cousin’s son probably wondered who God was and if he could ask Him to change his foot so that he could at least walk on his own, if not play with Sadiq. 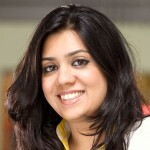 Later, Razia asked her husband to try and get help from the shehar wala doctors. Their family saved for two months to come to Peshawar from the small district of Torghar, where they met with a local doctor. Ahmad was diagnosed with a P-1 virus, or polio. Ahmad was never given polio drops as a child because his parents never took him to a health centre. They never thought that their son would suffer because their village had long been declared polio-free by the government. The teams sent by the health department for polio eradication also relaxed in this region and never came. In the well written National Emergency Action Plan 2011 for Polio Eradication, issued by the Ministry of Health, the institution indicates understanding the need for such a plan. It highlights many important concerns, limitations and ways to implement policies, which are still waiting to be acted upon. More than 50 cases of polio have been reported in Pakistan only in the first six months of this year. Despite 17 years of campaigning for the eradication of polio, Pakistan is one of four countries in the world where it is endemic. Each year, millions of rupees are spent on banners and television coverage of ministers dropping the drops of the vaccine into mouths of children for a front page photograph in the next day’s newspaper. The World Health Organisation (WHO) has threatened to convert the millions of dollars which were given as a grant to Pakistan into a loan if concrete steps are not taken to get rid of the virus. Not only that – travel restrictions will be imposed on Pakistanis if Pakistan is unable to eradicate polio by the end of 2012. And, I believe that the West has a right to protect their children if we are not protecting ours. A region is declared to be a polio-free zone if there are at least three years of zero polio cases due to the wild polio virus given the disease surveillance efforts in countries meet international standards – Each country must illustrate the capacity to detect, report and respond to “imported” polio cases. 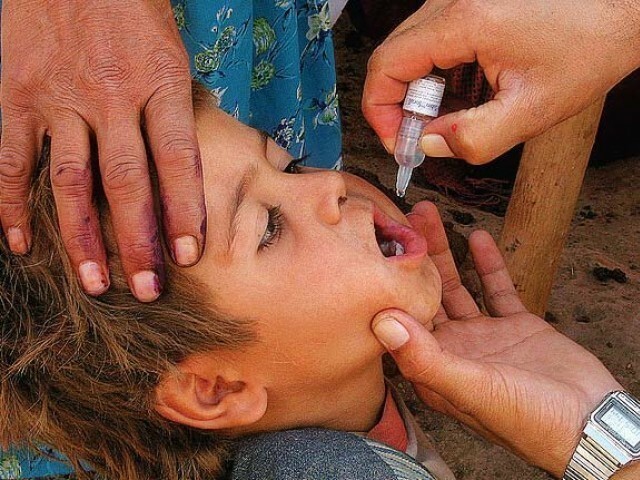 According to various newspapers, the Ministry of Health admitted that the Extended Polio Immunisation (EPI) teams have already missed about 30 per cent of the expected coverage area, particularly the Federally Administered Tribal Areas (Fata), some interior parts of the Khyber-Pakhtunkhawa (KP), and far-flung towns in the Sindh — the parts of the country most vulnerable to Polio. Seventy cases of the disease were reported last year in Fata, 26 in Sindh, and 25 in KP – total number of polio cases was 139 in 2010. It has been estimated that around 100,000 field workers are hired for a few hundred rupees per day (between Rs150 and Rs300) who are reluctant towards going to far flung areas as their meagre allowance would not be enough for such a long day, or where there are security concerns. Not to mention the widespread phenomenon in Pakistan – ghost teams going to ghost areas. Polio is short for Poliomyelitis , a viral disease which can cause full or partial paralysis among children, usually five years of age or younger, pregnant women and elderly men/women. However children under five years of age, who have never been immunised against polio and are exposed to it are more at risk of being affected. The virus enters the body through the mouth or nose and multiplies in the intestine. There are three types of the virus, P1 or Brunhilde, P2 or Lansing, and P3 or Leon. Of these, P1 is the most dangerous and P2 is almost nonexistent. Initial symptoms are fever, fatigue, headache, vomiting, and stiffness in the neck and pain in the limbs. One in 200 infections leads to irreversible paralysis (usually in the legs). Among those paralysed, 5-10 per cent die when their breathing muscles become immobilised. No cure for polio exists and the only way to save a child is to give him/her polio vaccine numerous times. It is our collective responsibility to make sure that every child is vaccinated against this disease. We are also responsible for Pakistan still being a polio endemic because there are situations where many religious families would not get their child immunised saying it would be God’s will, or people are misinformed that the drops would render their children sterile, as happened in Swat under the Taliban control. Because the government failed to provide people with doctors in Lakki Marwat, four union councils headed by elders refused to get their children immunized. Or when a father (of three daughters finally) had a son, and then lost him because of complications, accused that the infant had died because of the polio drops given to him. Pakistan is a country with a low literacy rate and where citizens believe anything the other person says. We need to be responsible in our actions and words for our children’s sake if not our own and take steps to win this war against polio. An educationist at heart who has taught at undergrad and school level, has worked with children, acted as the Chairperson of the Standing Committee of the Culture,Sports and Youth Affairs of the Youth Parliament of Pakistan, and is a Fulbright Scholar. She is a Graduate Student in the Educational Administration and Policy Studies Department at the State University of New York. First purge health departments particularly of KP of political appointees and then think about eradication of polio. Who is incharge of the EPI in KP?? Who are the district communication officers? What is the qualification of these officers? Could anyone answer these quiestions? Instead of converting aid to loan the WHO should first resist the Federal and provincial governments pressure of appointing their political workers on important posts in the health department. I agree with Naeem Khan that the LHWs and other vaccinators are given very meager amount as remuneration and a large amount is being spent on useless seminars, workshops and meetings.